Locations: Chicago area, Seneca, Ottawa, Henry, Bureau Jct. 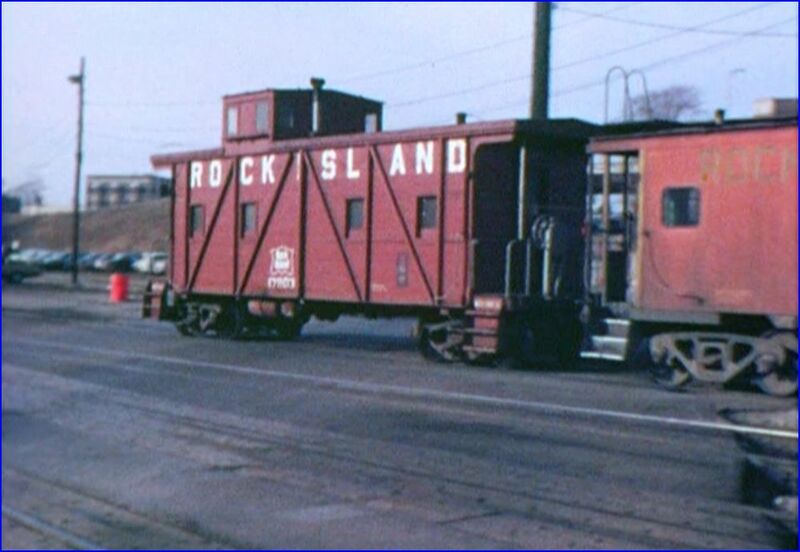 Rock Island was an interesting railroad to see in the late 1970’s. 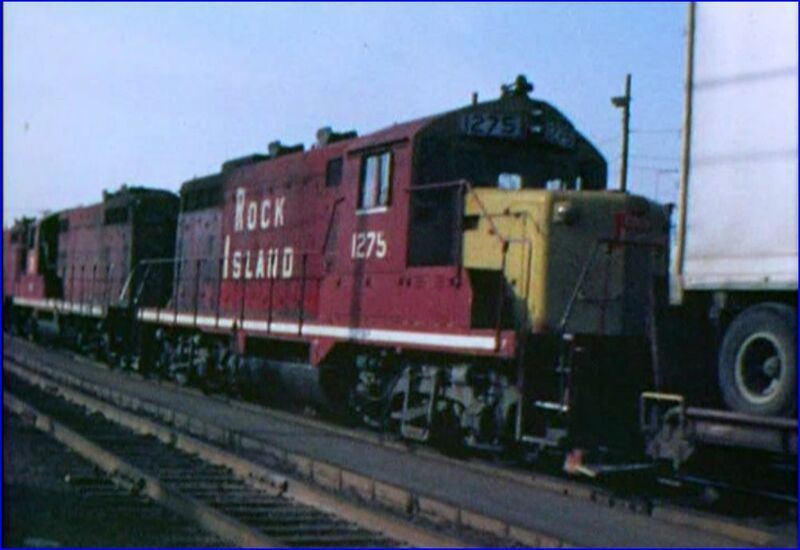 A mixture of fresh, new Rock image equipment and older, worn out locomotives gave us a contrasting Rock Island. The Rock Island was in the final years of existence. 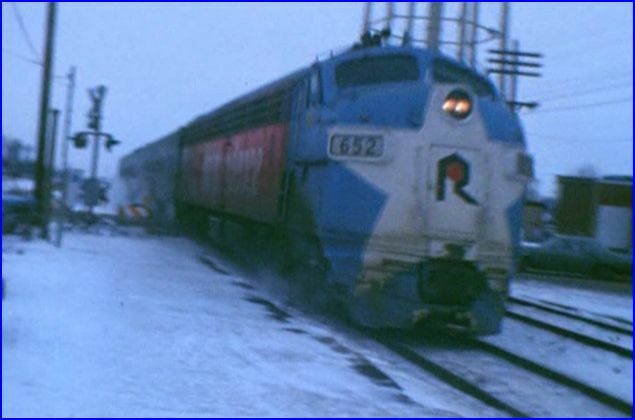 Fortunately, Roger Koenig was trackside and filmed plenty of action, as seen in this show. 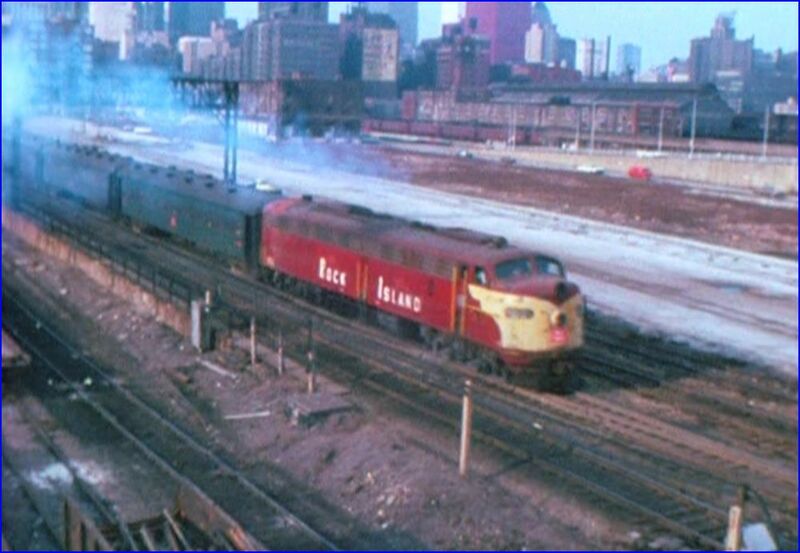 This program features, many freight and passenger trains around the Chicago area. He also ventures off on a passenger excursion behind a rare E6. At Chillicothe the staging of a runby is examined. More passenger specials will be featured in this show. A very detailed chapter menu provides easy navigation. 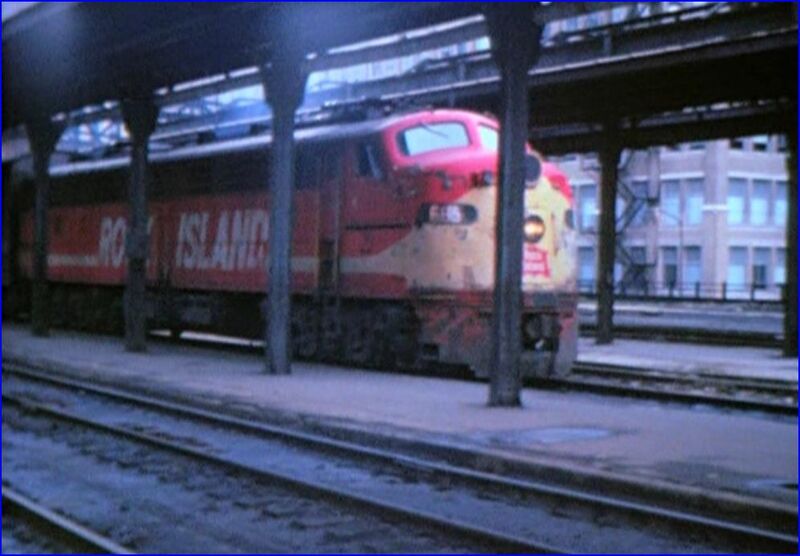 Some chapters: Fall 1974, Burr Oak Yard, Blue Island, New Years 1975, LaSalle St. Station, Bi-centennial, June 22, 1976, 1977, and Cab Ride. There are quite a few more chapters. There are numerous quick shots of Rock action. A wide variety of equipment. 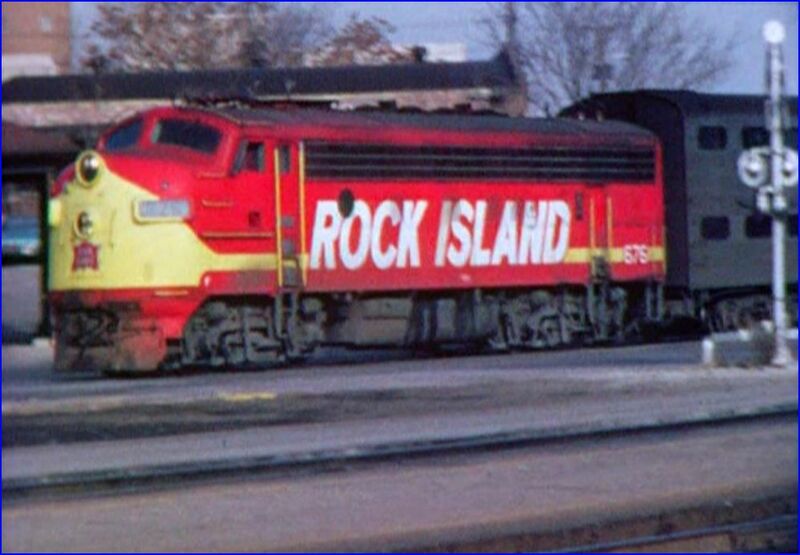 Many different Rock Island paint schemes. Old maroon units, red/ yellow and new image blue/ white. 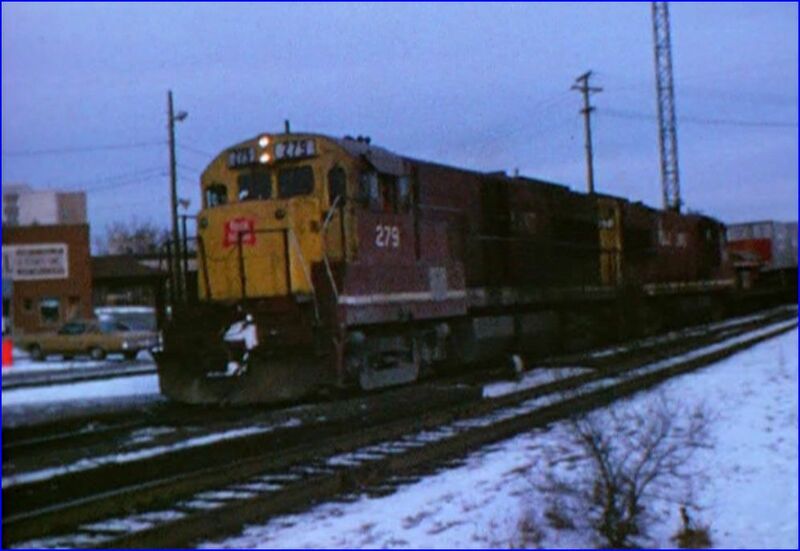 There are a wide variety of EMD and GE power. 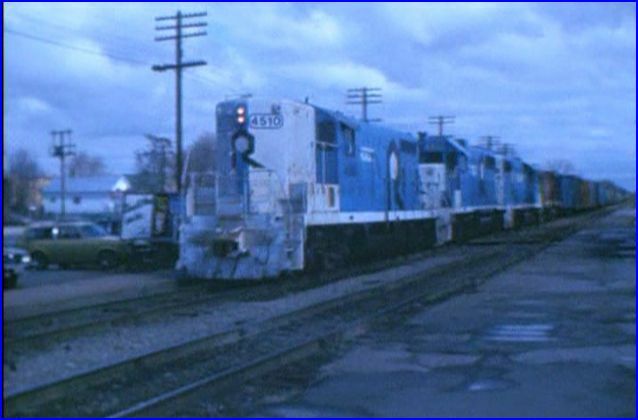 EMD includes GP7, GP9, GP35, GP38 and GP40 locomotives. Cab units in the forms of F7, E7 and E8 units also are in service. GE has an assortment of the U-boats. A rare diesel, like the E6A , was a museum piece, even back in the day!. Roger paces more than one, E8 led Quad Cities Rocket. An E7A, E8A pair pull a set of ancient green commuter cars. Numerous commuters are viewed. The variety of 1920’s coaches and new double decker cars are seen behind various E and F units in assorted paint. Talk about classic operating pieces. Some of the old green coaches ended up at the train museum at Union, Ill. Even more pacing shots of both passenger and freight trains. Sometimes a certain locomotive would motivate him to chase one. 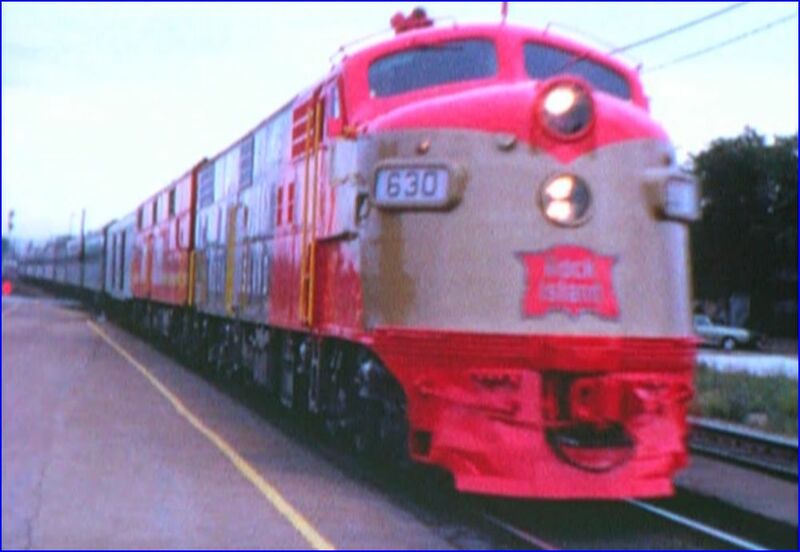 The bicentennial E8 was one such engine. 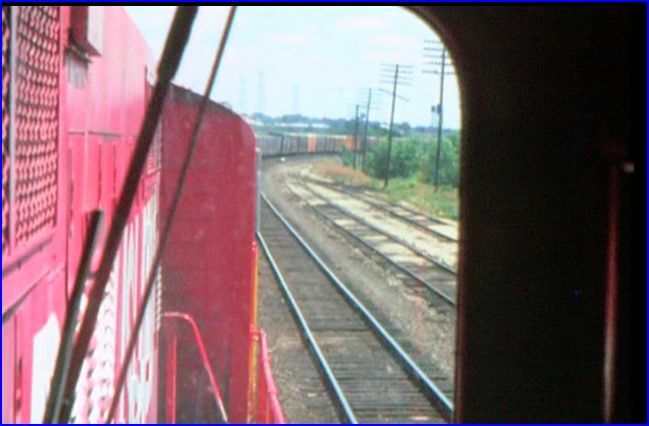 A GP38 in the ‘new image’ paint was on a chased freight. 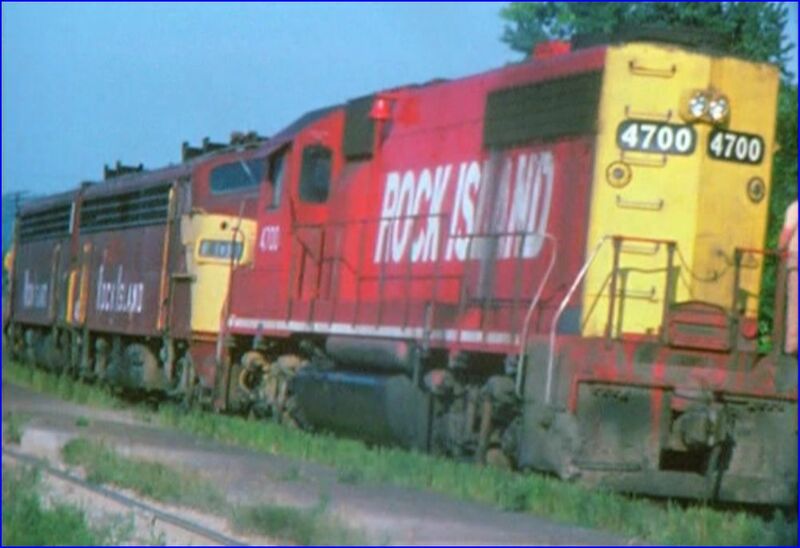 Some others are the normal ragtag Rock Island locos. A bit of cab ride action on a couple of trains with an engineer friend of Roger. The Oak Forest depot is seen many times in this show. Tinley Park is a neighboring town that is passed. Meets with additional trains keep things interesting. There is one long ride on Train 01, that is a main highlight of this program. Roger gets some time in the engineers seat. 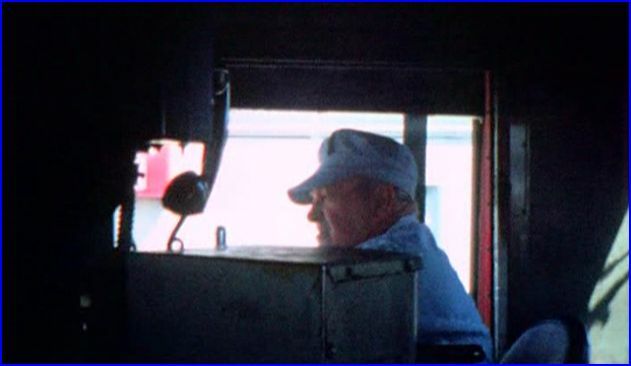 His buddy Charlie O’Connor, was near retirement, due to all trains becoming extras. The bouncing train on the rough track, and an entertaining narrative are some good fun. 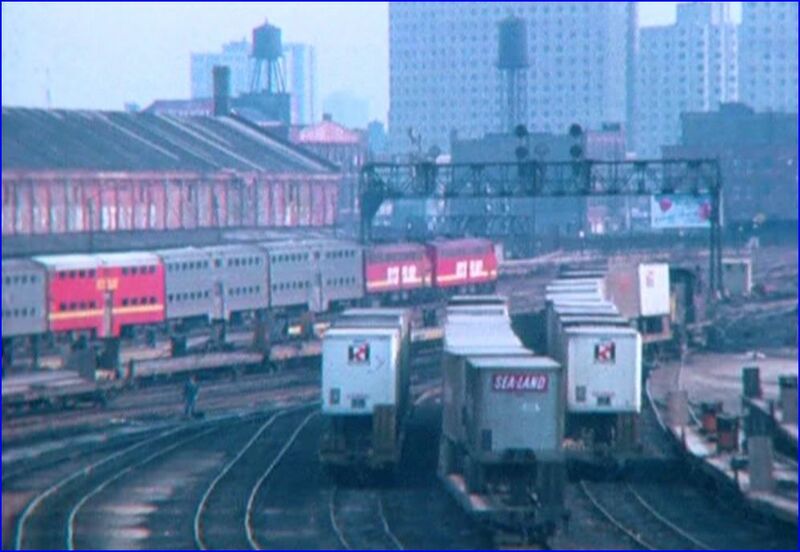 LaSalle Street Station gets some visits , as trains arrive there. It becomes noticeably more dilapidated as time moves forward. The film sources are from 8mm and super 8mm. The films do look very good and are clean in appearance. The original sound is excellent. The film moves in a fast paced manner. Narration is excellent. The narrative can be toggled with an on/off control choice. 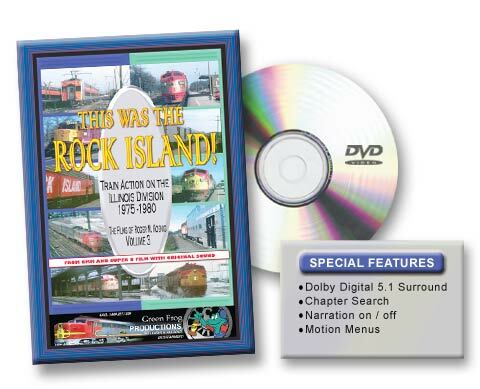 This is a great era to have Rock Island footage. It is hard to find this film from these years. Green Frog has released a needed era of classic Rock Island. The quality production enhances an enjoyable program. This entry was posted in ATVR Reviews, Green Frog Prod. 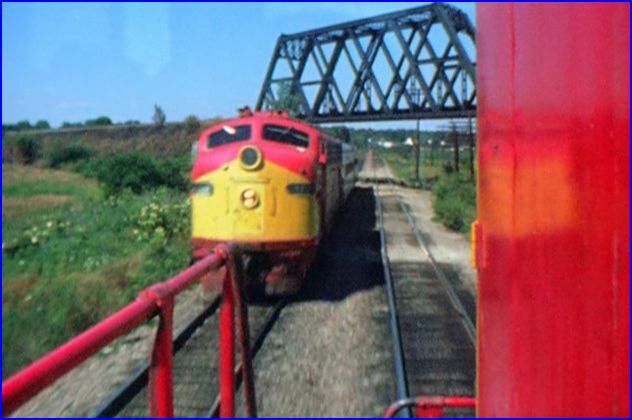 and tagged American Train Video Reviews, Railroad, Rock Island, Train DVD by William J. Hudson. Bookmark the permalink.